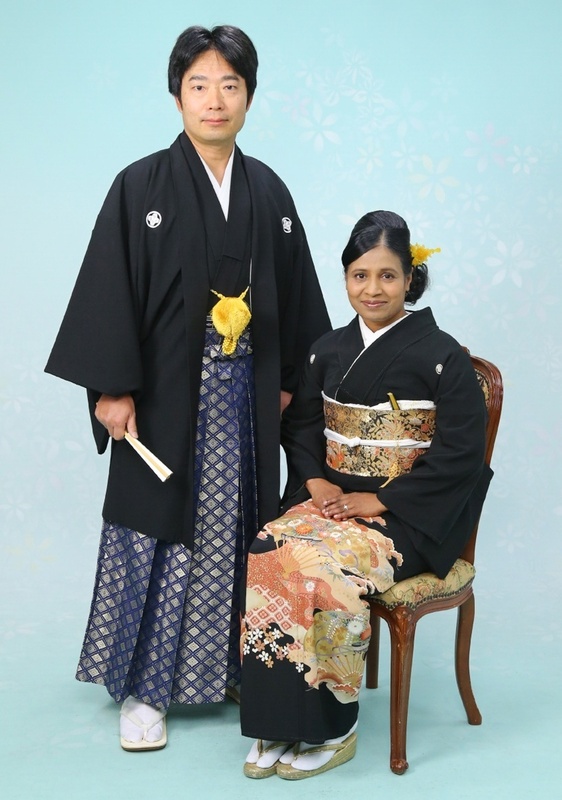 During New Year holidays, hubby and I visited his relatives in Ichinomiya City of Aichi prefecture. We went by our car. 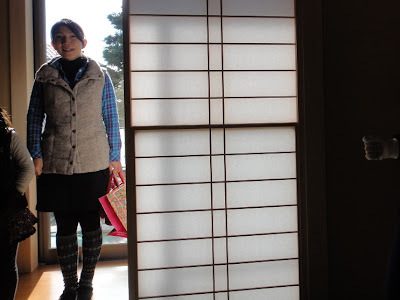 On 29th December, we left our home in Yurihonjo City at about 8 am and it took us almost 10 hours of car ride to reach Tokyo suburbs where we stayed at a hotel for the night. The next morning there was heavy traffic jam almost all the way up to Nagoya and so it took us another 9 hours of car ride to reach Ichinomiya City. We checked in at a hotel in Ichinomiya at about 7.30 pm. Hubby was tired due to driving for two days and he retired to bed immediately. 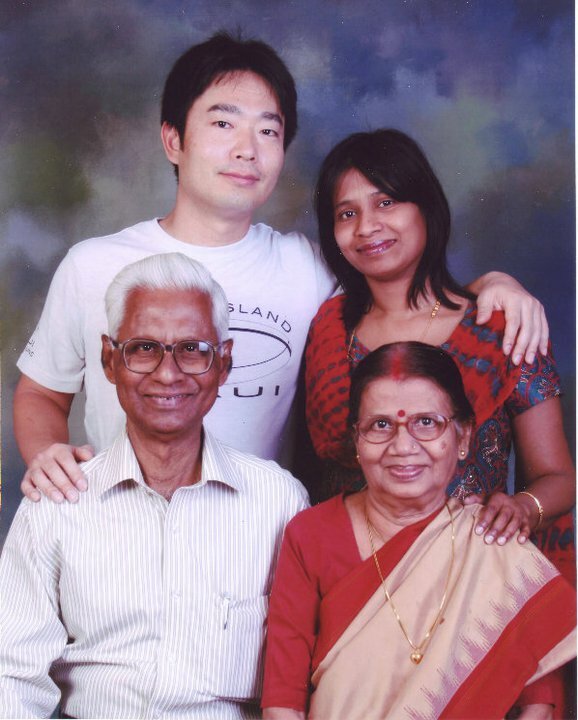 On 31st December, hubby got up at about 5 am, got ready and left the hotel room to go for playing golf with his father and a few other relatives. 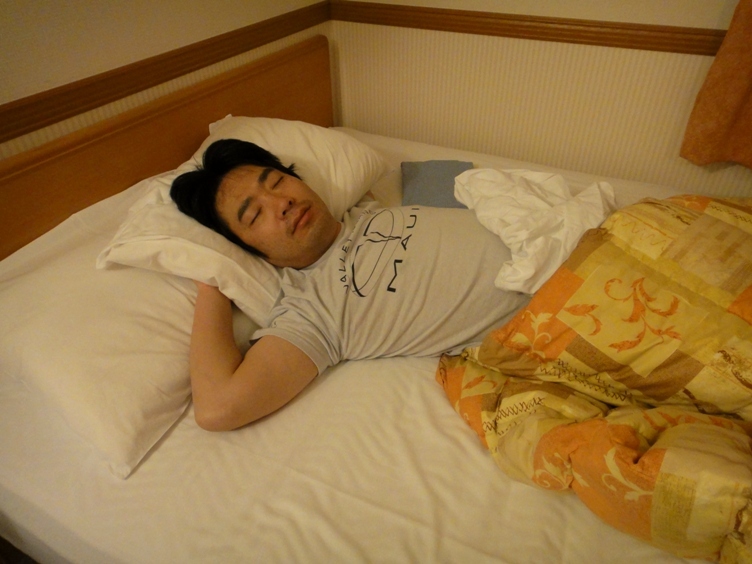 I preferred to stay and relax all day in the hotel room. In the evening, hubby and I had dinner with several relatives at a Japanese restaurant. We went to the restaurant with my father-in-law and his wife at about 6 pm. Hubby’s sister and her family reached the restaurant a short while later. We were all hungry and ordered a lot of food items. 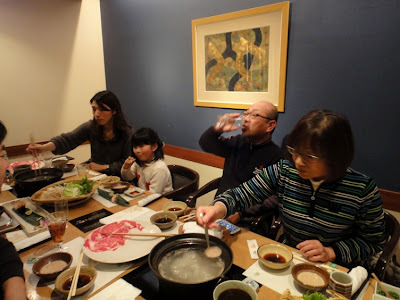 We had shabu-shabu, tempura, sushi, sashimi, salad, soup, rice, and dessert. 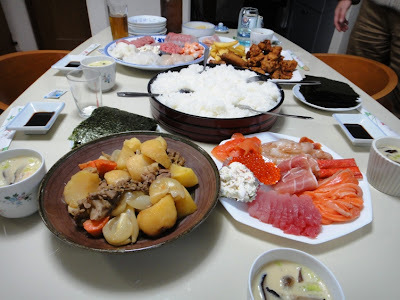 The dinner was very filling and satisfying. We all had fun catching up with others. 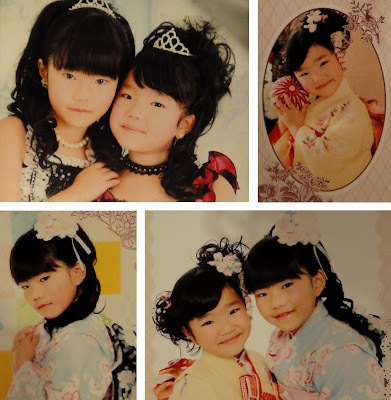 My sister-in-law showed us an album with pictures of her two beautiful daughters taken during a Japanese ceremony called Shichi-go-san held in November 2012. The professionally taken photos of the girls were so perfect. We all chatted and had a nice relaxed evening. January 1st is a very auspicious day in Japan, and is best started by viewing the first sunrise called Hatsuhinode of the New Year, which is traditionally believed to be representative for the whole year that has just commenced. So awakening before sunrise is considered important to view the first sunrise of the year. 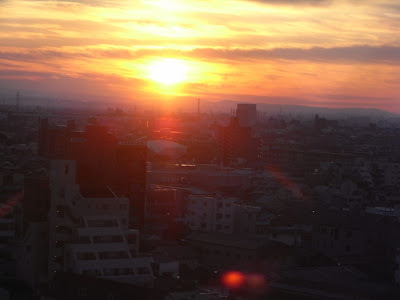 Although it was a bit cloudy, hubby and I watched the sunrise from the 14th floor room of the hotel where we stayed. It was a unique experience. We also watched television networks broadcasting live the first sunrise breaking at various locations in Japan. My father-in-law’s home is being rebuilt since August 2012. Hubby and I are also making our home adjacent to father-in-law’s home. The two separate homes are designed in such a way that it looks like only one home from the outside. The two homes are interconnected by a closed passageway. Both the homes are self contained and have separate entrances. Construction of both the homes was almost completed during the New Year holidays. 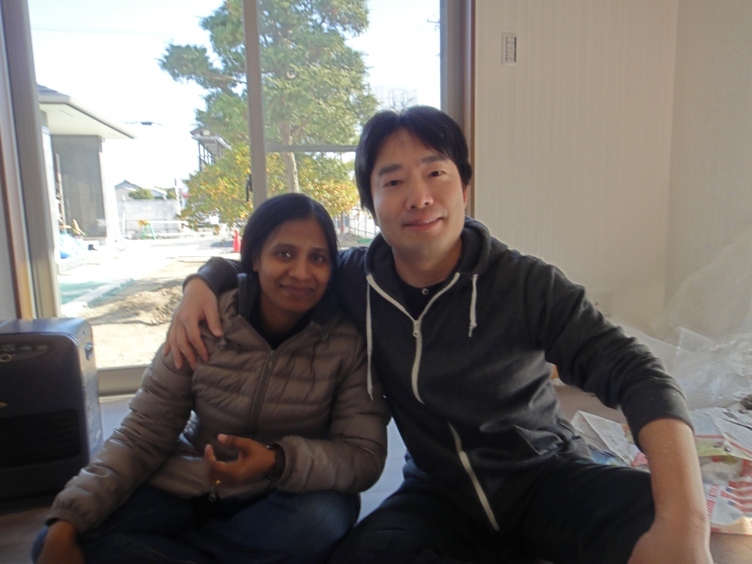 In the morning on 1st January, hubby and I went to see our home. My sister-in-law and both her daughters also came to see the homes. It was nice to take a look around our new home along with my sister-in-law and discuss about the interiors. We also had a fun time playing with the kids. 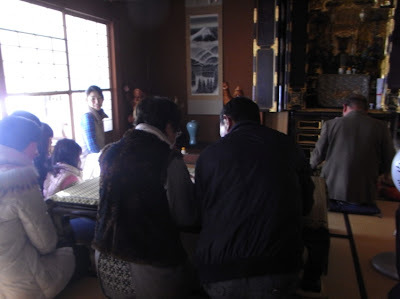 Later in the afternoon on 1st January, my father-in-law and his wife, sister-in-law and her kids, hubby, and I visited the home of father-in-law’s eldest brother who lives nearby. It is the main ancestral home of ‘Nagata family’. They have an amazingly exotic family altar where we all prayed and read sutras for peace and health of our loved ones all year round. On 2nd January, hubby and I again visited our newly constructed home and took a few photos that I will upload in the next blog post. We purchased a few household items for the home and arranged them. On 3rd January, hubby and I visited hubby’s aunt Tatsu-chan (formally Tatsuko-san) in Okazaki City of Aichi prefecture. Tatsu-chan, my late mother-in-law's younger sister, has been a source of great influence and important fixture in my hubby and his sister’s life. 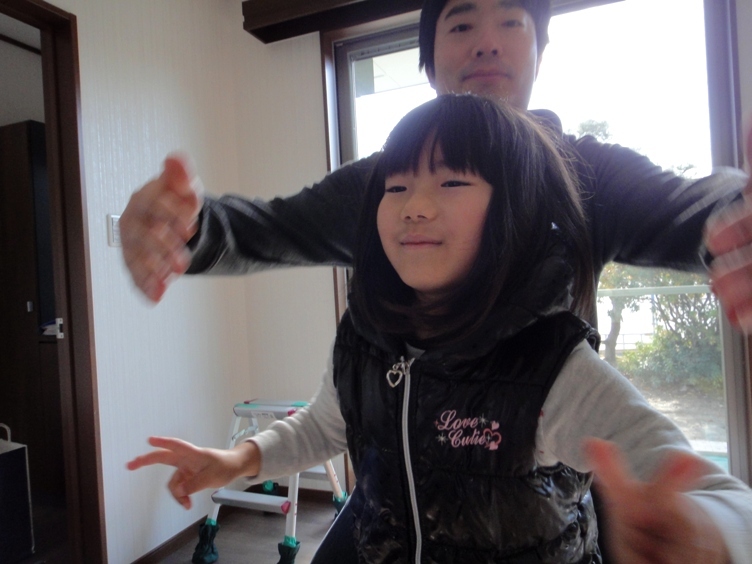 We were visiting Tatsu-chan and her family after almost four years and were very excited about the visit. 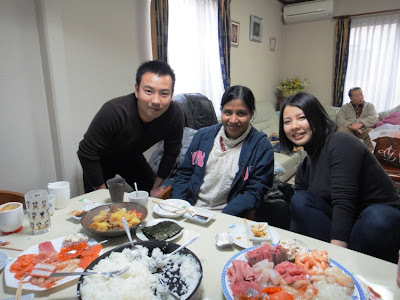 Tatsu-chan’s home in Okazaki City is located about 75 kilometers southeast of the hotel we stayed in Ichinomiya City and it took us almost 3 hours of car ride to reach her home due to heavy traffic jam on the expressway. 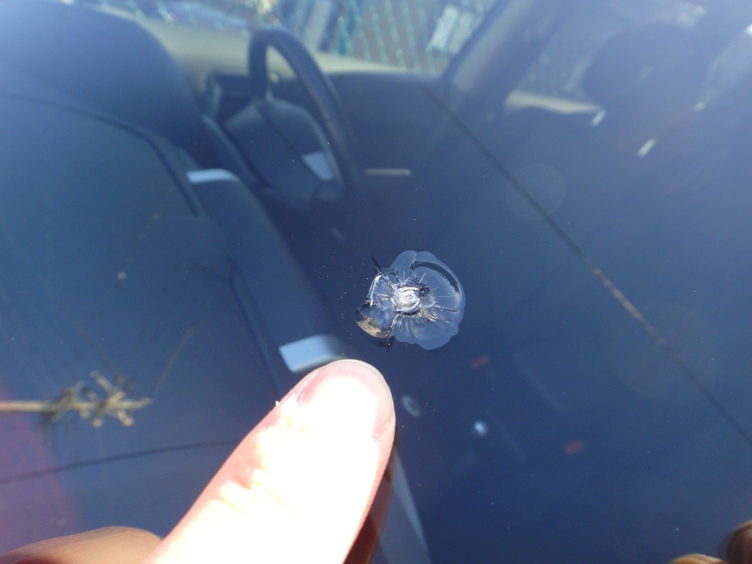 While driving on the expressway, we got a stone chip on the windshield of our car. The crack is about the size of a 100-yen coin and the sound was shockingly loud. I was stunned to see the windscreen crack right in front of my eyes (literally, at the eye level) and was really shocked when hubby’s mobile phone rang very sharply exactly at that instant. 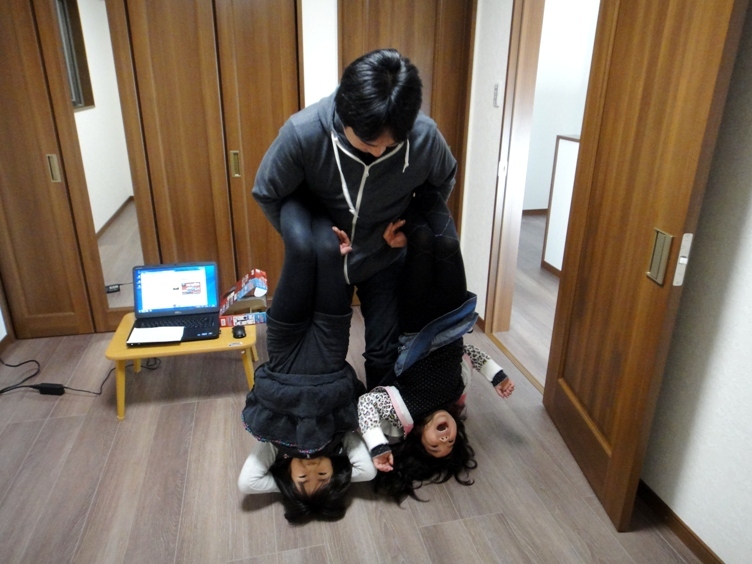 It was my sister-in-law informing that she and her kids were also on their way to Tatsu-chan’s home. Anyway, we are yet to repair the crack. 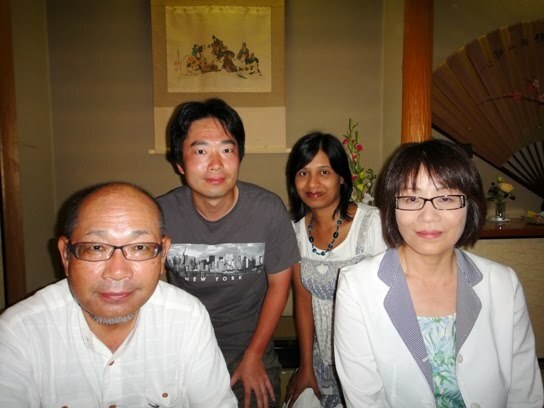 As always it was a pleasure to meet Tatsu-chan, her husband, and her daughter. 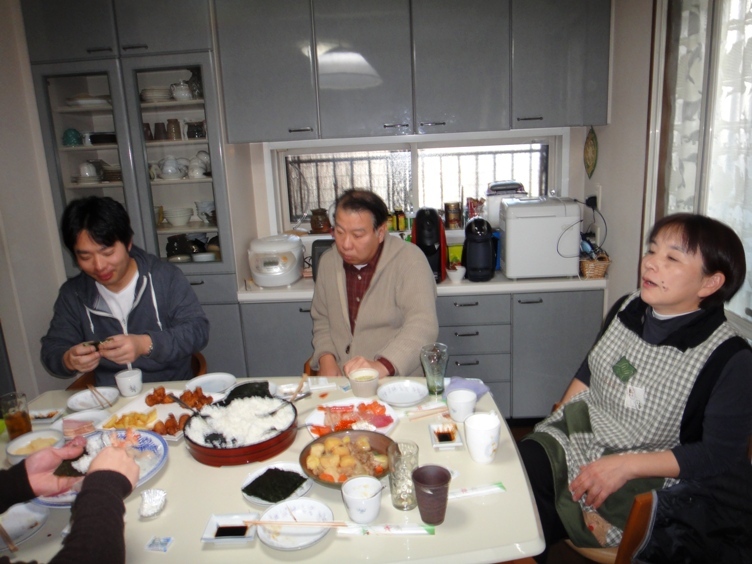 Tatsu-chan’s eldest son and his family, who live in a nearby city, were also visiting that day. After the initial greetings, we all had lunch as the kids were rather hungry. 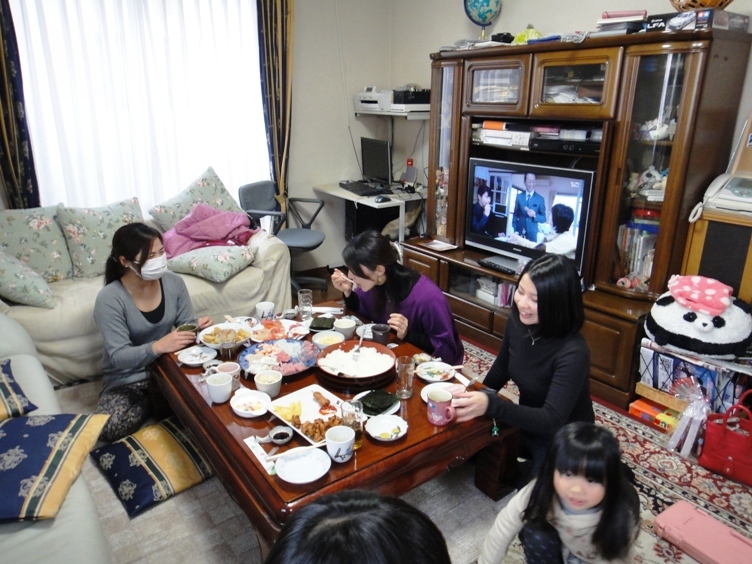 That day there were eight visitors to Tatsu-chan’s home, and it was impossible for all of us to sit at the dining table for lunch. So we formed two different groups and had lunch at different tables. 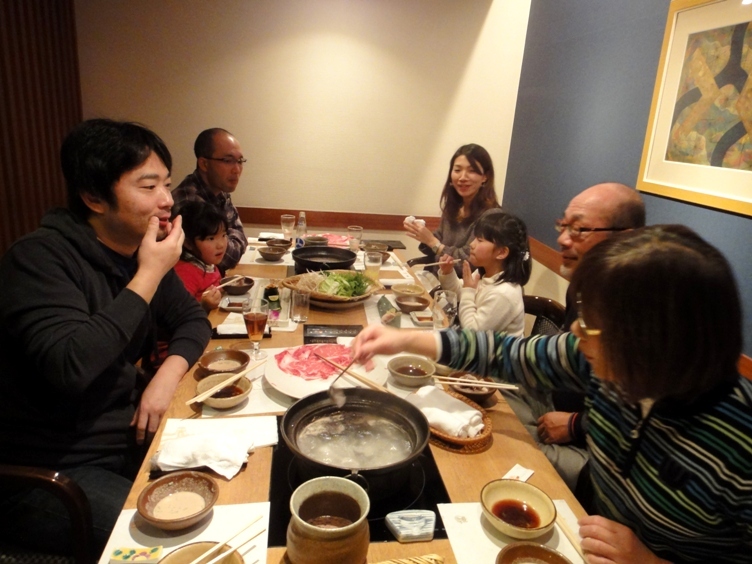 Tatsu-chan had prepared mouthwatering dishes like fried chicken karaage, nikujaga, sashimi, sushi, chawanmushi, miso soup, salad, and dessert. 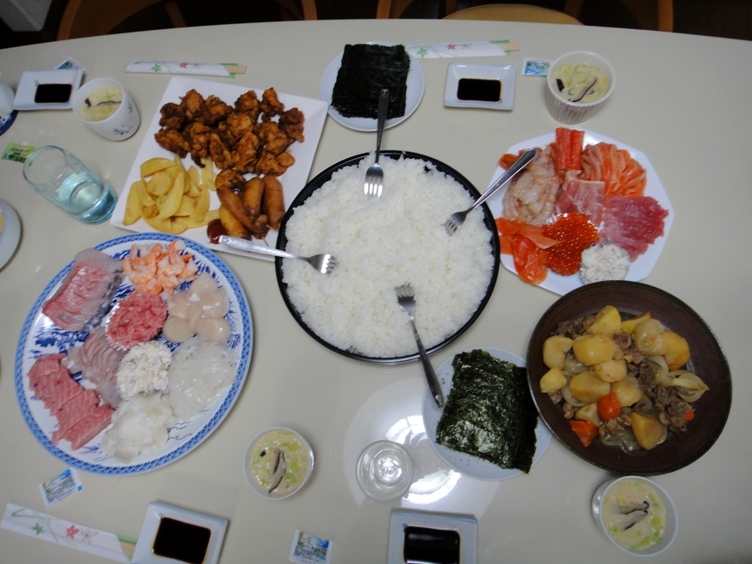 Rolled sushi called makizushi was the main dish, and we rolled it ourselves while chatting with others. We all had a lot of catching up to do along with a lot of gossiping. 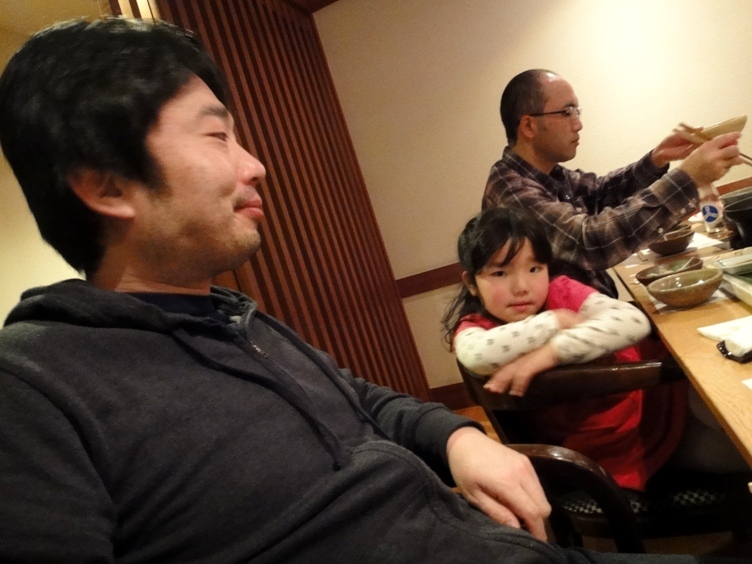 It was really a nice relaxed lunch time for all of us. The food was so delicious that hubby and I overate. Later we all chatted for some more time and played with the kids. 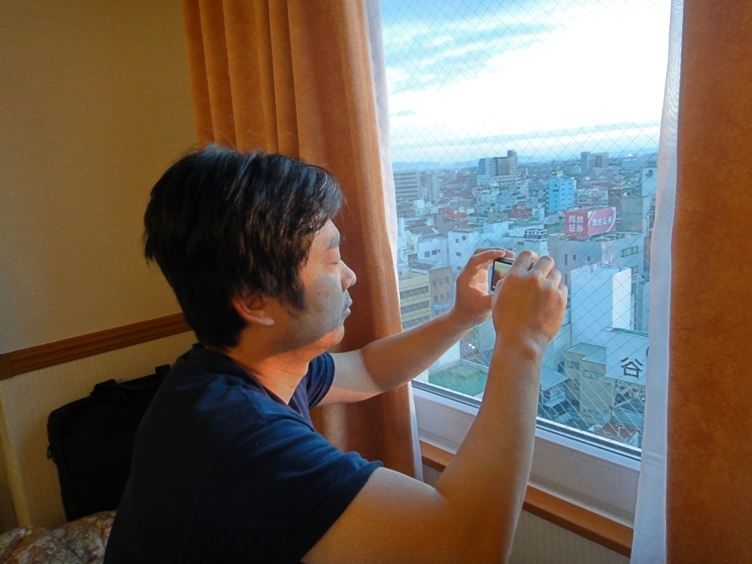 Hubby and I left Tatsu-chan’s home at about 5 pm and drove up to Shizuoka City where we stayed overnight at a hotel. 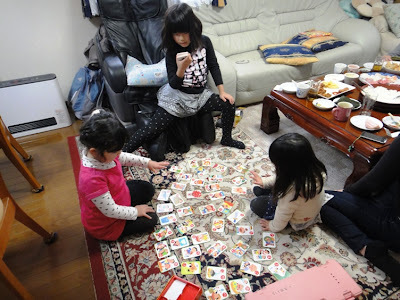 It was nice to meet our relatives during the New Year holidays. 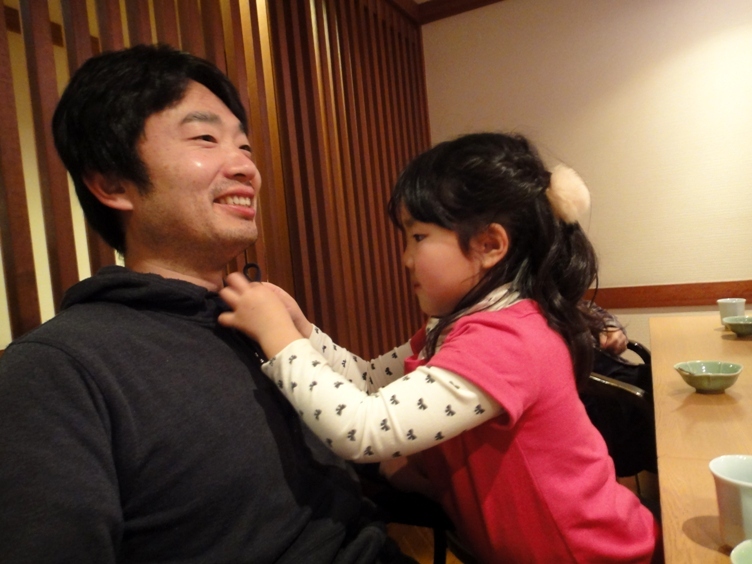 I really enjoyed meeting Tatsu-chan and her daughter. In the next post, I will write about our new home.